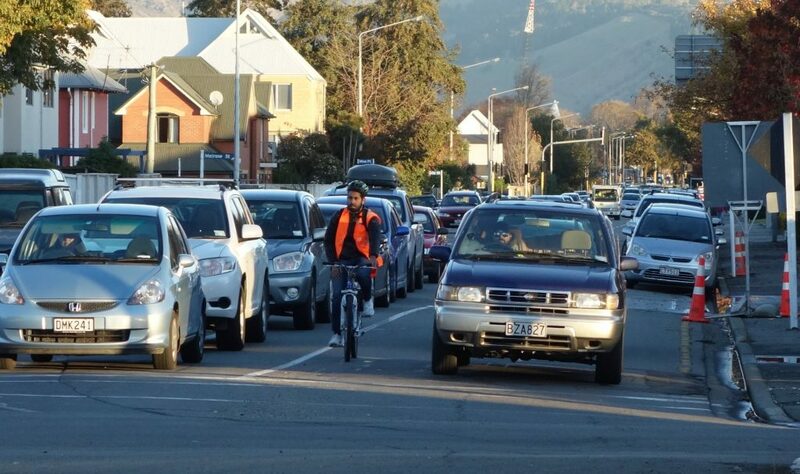 Many of the current road transport regulations in place in New Zealand were drafted really only with motor vehicles in mind; trying to apply them to cycles as well doesn’t always make sense. New developments in cycling network design also require changes to be made to the existing legislation to reflect their usage (e.g. 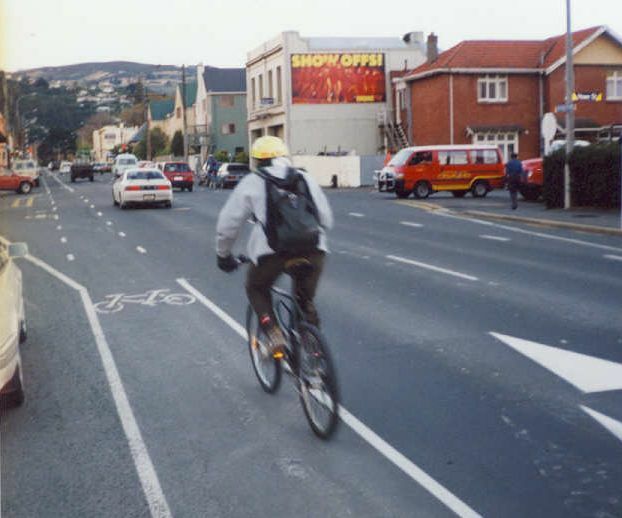 did you know that ordinary painted cycle lanes have only been legally enshrined in NZ since 2004?). There are also plenty of other changes constantly occurring across the transport space (e.g. who knew what an Uber service was 5 years ago? ), so it’s not surprising that the transport regulations have to be regularly updated to reflect these changes. The main way that traffic law is upheld in NZ is by a series of Land Transport “Rules”; these are much easier to update as required than traditional Acts of Parliament. Currently the NZ Transport Agency are consulting on some proposed changes known as the “Land Transport Rule: Omnibus Amendment 2016”. Contrary to appearances, this Rule isn’t about changes to buses; it’s the standard term they use when they are proposing changes to a number of existing Land Transport Rules at the same time (in this case, 15 Rules); far more efficient than consulting on all of them separately. Many of the changes are quite minor technical tweaks to things like vehicle standards. But this year’s Omnibus Amendment Rule also includes a strong focus on cycling-related rules. Some of these are based on recommendations from the 2014 Cycling Safety Panel Report. 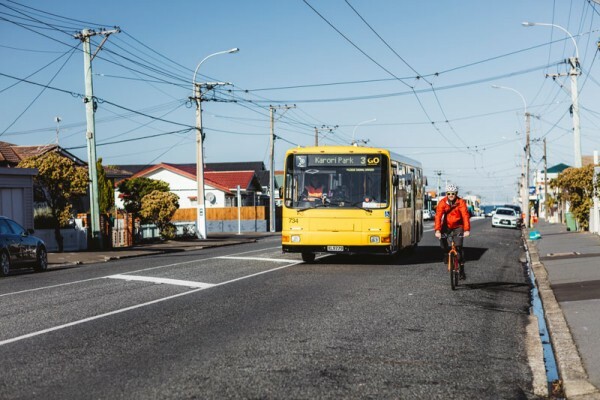 The Ministry of Transport and the NZTA have prioritised an initial package of “quick win” rule changes that would help provide a safer environment for cycling. Mostly these are minor and/or technical in nature, and reflect best practice design or the results of current trials. Some help to remove inconsistencies in road rules or provide more certainty for the mutual benefit of both cyclists and road users. Road User Rule: Expanding the definition of “Intersection” to include “a place where a cycle path or a shared path crosses a roadway”. Explanation: This is needed to legally control either the movement of cyclists or road users where a separated cycle path crosses a roadway. Road User Rule: Allowing drivers to encroach onto a flush (painted) median when overtaking cyclists. Explanation: Drivers who strictly observe the current rule may attempt to squeeze past cyclists unsafely even when safer passing distances would be available by using the flush median. Note that drivers would still be required to comply with other general requirements for overtaking (e.g. with safety and due consideration for others). Road User Rule: Where a cycle path or shared path crosses a roadway, requiring either path users or road users to stop or give way depending on who is controlled by a STOP or GIVE WAY sign. Explanation: The Traffic Control Devices Rule already allows the possibility of controlling path-vs-road priority by appropriate signs, but there is nothing reflecting this in the current Road User Rule; this will clarify the obligations. Road User Rule: Clarifying that a driver approaching an intersection must not enter a cycle lane if the exit path is blocked by stationary traffic and their vehicle would obstruct the cycle lane. 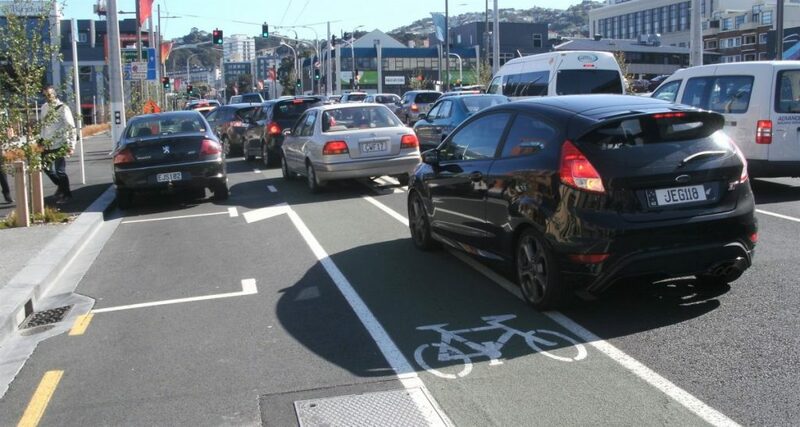 Explanation: This is to maintain the free flow of designated cycle lanes, particularly near left turn lanes, and reduce the risk of cyclists executing unsafe manoeuvres. Road User Rule: Allowing a bus to enter and leave a cycle lane and to stop at a bus stop in the cycle lane for boarding/departing passengers. Explanation: This allows for the design and construction of cycle lanes with occasional bus stops included. Otherwise, technically the cycle lane would have to stop and re-start either side of the bus stop, with all the associated signs/markings. Road User Rule: Extending the time period for lighting and reflectors on cycles to between the times of sunset and sunrise. Explanation: Currently cycle lights/reflectors are required to be used from 30 minutes after sunset until 30 minutes before sunrise; this change will improve cyclist visibility at a critical time of the day. 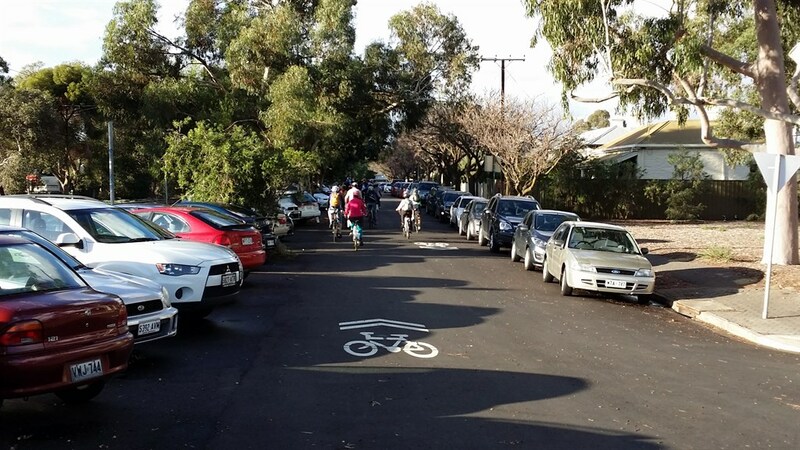 Traffic Control Devices Rule: Allowing the use of the “sharrow” road markings. Explanation: Sharrow road markings are used to indicate that a lane is to be shared between cycles and general traffic. They have been trialled successfully in limited NZ locations; this proposal would approve the marking for general use. Vehicle Dimensions and Mass Rule: Allowing a maximum width of 1.1 metres for all two wheeled vehicles (cycle, mopeds, motorcycles). Explanation: Some manufacturers are making motorcycles with handlebars 55cm on each side, so this would allow these. It also will make it easier to cater for some wider cargo bikes. Requiring cycle front and rear lights to be visible from a distance of 200m between the hours of darkness or any other times of poor visibility. Explanation: Cycle lights that are too dim are a regular factor contributing to crashes involving motor vehicles. The change would improve cyclist visibility by increasing the distance from which front and rear lights for cycles and power assisted pedal cycles are required to be visible (currently 100m). Overall, while mostly minor, these Rule changes should help make cycling a little bit easier and safer. They also give road designers a few more options to work with, although I think they will need to be careful about where they allow bus stops within cycle lanes. The deadline for submissions about these Rule changes is 5pm, Friday 12th August. Will this soon become mandatory? Research underway to investigate minimum overtaking gaps in NZ, including the feasibility of a mandatory minimum overtaking gap. giving cyclists right-of-way over turning traffic where separated cycle facilities cross side roads. As you might have guessed, some of these have a few more fish-hooks to them, hence the time being spent to analyse them carefully. But with luck you can probably expect to see some of these resulting in further Rule changes next year. What do you think of the proposed Road Rule changes? The legality of ‘cycle’ priority red or green lights is a daily puzzle for me. If I ride in the car lane, not the bike lane, can I ignore the ‘cycle red stop’ light? Is it legally possible to left off a cycleway if the only light phases available are ‘cycle red stop’ and green for everyone else, or ‘cycle green’ with ‘red left’ arrow? Particularly relevant on Tuam Street, as the cars get far more green time than the cyclists. The cycle signals apply to the separated cycleway, whereas the other signals apply to the general traffic lanes; so the short answer is that which signals you obey depends on where you are. If you are in the separated cycleway, then only the cycle signals apply to you; if you are in the traffic lanes, then only the general signal discs and arrows apply to you. Many confident riders have therefore twigged to the fact that if they wish to keep going ahead when the cycle signal is red they need to move over to the general traffic lanes – a perfectly valid manoeuvre. 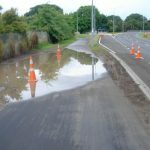 Can we please have the road rules changed ASAP to bring NZ into line with other countries whereby it is mandatory for motor vehicles to give pedestrians crossing side roads the right-of-way over turning traffic and give cyclists right-of-way over turning traffic where separated cycle facilities cross side roads. giving pedestrians right-of-way over turning traffic when crossing side roads"
Fingers crossed for this one, cultural game changer for this country.. The lack of any move towards helmet law reform does rather stick out like… how can I say… dogs balls? THAT would be like at least heading out of the dark ages. If a cycle path or shared path crosses a roadway and has the intersection has no give way or stop signs does the right had rule apply? Does this mean motorists at a road / cycleway cross road need to give way to cyclists arriving from the cycle way on their the right hand side? Good spotting! In that situation, the relevant part of Rule 4.2(3) would appear to apply, just like an uncontrolled (no signs) intersection. This may not be very obvious to all users however (especially motorists), so the onus is probably on the road controlling authority to put up some suitable signs to indicate who has priority. To clarify, the situation I was discussing is what WOULD happen if the proposed redefinition of “intersection” took place. At the moment, a pathway crossing a road is NOT an intersection, so the right-hand rule doesn’t apply. Technically, GIVE WAY signs and the like at crossings aren’t enforceable either (although I think Nelson did theirs by bylaw), which is why the proposed Rule changes also tidy up this situation. An excellent load of common sense all round. Hope amendments are formulated. I like the idea of the left turn and top of the T intersection exemption and giving way to cyclists and pedestrians across side roads. Lane splitting, undertaking and using left turn lane to go straight ahead should definitely be formalised, given that it happens already. Should also allow cyclists to go through pedestrian crossing signals at walking pace, giving way to pedestrians. If we’re allowed to cycle with pedestrians with care on shared paths, why not on pedestrian lights? You feel like a goody-two-shoes if you stop at pedestrian only lights, for no other reason than to appease motorists, or motorists hate you if you go through. Some of the ideas being looked at have been common practice among cyclists for years. It’s good to see a pro active approach rather than a punitive one. Free top of the T and left turn on a red has been a long time coming. Also lane splitting. The legality of lane splitting needs to be seriously looked at for motorcycles too. Forget changing laws, just teach both cycles and car users how to work with each other. I’ve biked many roads in the north island and found truck drivers would watch for cycles, cars do not. It is the same down here cars are blind to cyclists as some cyclists are blind to cars. Weather on a cycle way or road you must first learn how to use it. Teach at schools, via papers. And to everyone reading this share to road.